Pachovsky, Vasyl [Пачовський, Василь; Pačovs’kyj, Vasyl’], b 12 January 1878 in Zhulychi, Zolochiv county, Galicia, d 5 April 1942 in Lviv. Poet, dramatist, publicist, and teacher. Pachovsky studied at Lviv University (medicine) and Vienna University (history) and completed his studies with a teacher's certificate in 1909. He taught in the secondary schools of Transcarpathia (Uzhhorod gymnasium) and in Galicia (Academic Gymnasium of Lviv and Peremyshl State Gymnasium). 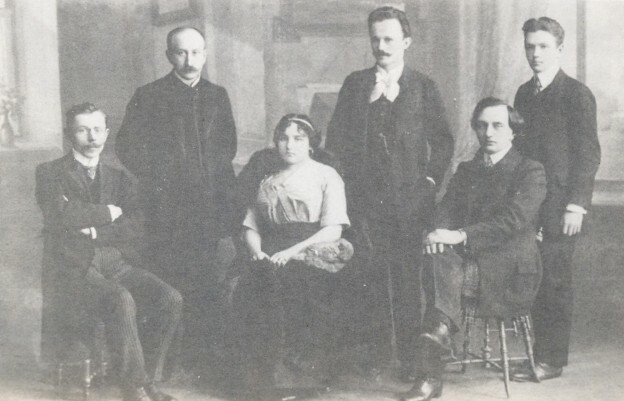 Pachovsky worked as a cultural representative of the Union for the Liberation of Ukraine in the internment camp at Knittelfeld, Austria (1914–15), edited Strilets’ (1918–19) while serving in the Ukrainian Galician Army, edited the weekly Narod in Uzhhorod in the 1920s, and contributed to various journals throughout his life. 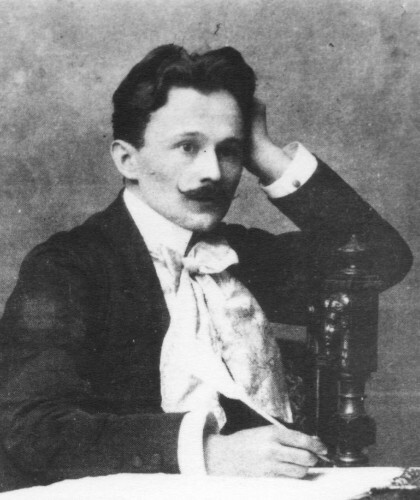 Pachovsky was a prominent member of Moloda Muza and made his literary debut in 1901 with a collection of lyric poetry, Rozsypani perly (Scattered Pearls). It was followed by Na stotsi hir (On the Mountain Slopes, 1907) and Ladi i Mareni ternovyi ohon’ mii (To Lada and Marena My Thorny Fire, 1912). His poetry is marked by a highly melodic line and folk-song stylizations. His dramas, written more in the modernist manner as highly lyrical allegories, at times too publicistic, are stylized patriotic visions of Ukraine in its quest for freedom: Son ukraïns’koï nochi (A Dream of a Ukrainian Night, 1903), Sontse ruïny (Sun of the Ruin, 1911), Sfinks Evropy (The Sphinx of Europe, 1914), Roman Velykyi (Prince Roman the Great, 1918), and Het’man Mazepa (1933). Similar in style to his plays is Pachovsky's epic poem, Zoloti vorota (The Golden Gates), of which only two of the projected four volumes were finished, Peklo Ukraïny (Ukraine's Hell, 1937) and Preispodnia (The Underworld, pub in 1985 as Chystylyshche Ukaïny [Ukraine's Purgatory]). Zoloti vorota forms volume 2 of the two-volume collection Zibrani tvory (Collected [Poetic] Works, 1984, 1985), of which volume 1 consists of Pachovsky's lyric poetry, including previously unpublished poems and collections. Pachovsky's historical studies, as well as his Narys istoriï miniiatury po rukopysiam (A Survey of the History of Illuminations, 1913), were devoted primarily to Transcarpathia, and consist of Istoriia Podkarpatskoi Rusy (History of Subcarpathian Rus’, 1921), Sribna zemlia: Tysiazholittia Karpats’koï Ukraïny (The Silver Land: A Millennium of Carpathian Ukraine, 1938), and the posthumous Istoriia Zakarpattia (History of Transcarpathia, 1946).